Today is the birthday of Fred Karno, an acrobat turned theatre impresario who helped launch the careers of Stan Laurel and Charlie Chaplin. He is credited with popularising the custard pie in the face gag. He was born Frederick John Westcott in Exeter, Devon in 1866. Shortly after that his family moved to Nottingham. Fred took up an apprenticeship as a plumber, but when he went to do some work at a gymnasium, he was so taken with it that he signed up for instruction. Fred, it turned out, was a natural athlete. Then he met a travelling juggler and wire-walker named Alvene and begged to be taken on as his assistant. It was around that time that the plumber to whom he was apprenticed died and Fred took to the life of a travelling performer. He worked in circuses, pantomime, music hall and at what he felt was every fair in the country. It was a hard life and he soon found himself in London hanging out at ‘poverty corner’ opposite Waterloo Station where theatrical agents knew they could always find out of work performers in need of employment. To supplement his income, Fred kept a glazier’s kit at home. He and a partner would walk the streets shouting ‘winders a mend’. If there were no windows to be mended, he was not above sending his partner ahead to break a few. Charlie Chaplin would one day use this stunt in his film ‘The Kid’. His music hall career really took off when he and two other acrobats were asked to fill in for a troupe called ‘The Three Carnoes’. They were asked to stay on and, as no one realised they weren’t the real Carnoes, they named themselves ‘The Three Karnoes’. Fred began performing as Fred Karno and in 1895 he began to introduce music hall audiences to short mime sketches that were re-workings of his circus acts. Fred had introduced slapstick to the stage. 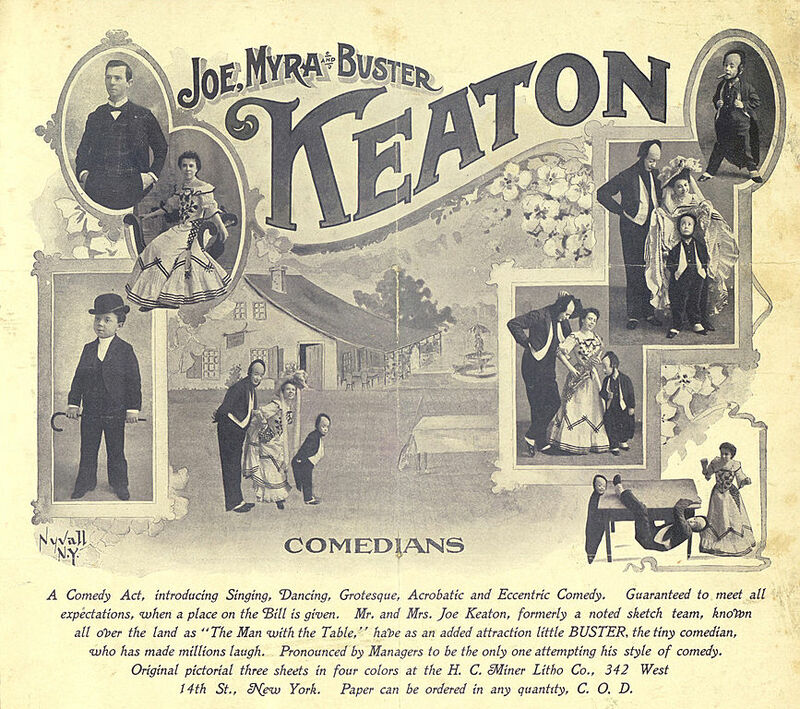 He drew on his knowledge of clowning from his circus days and, by 1901, he had four action-packed sketches. They included ‘Jail Birds’, where prisoners played tricks on the warders and ‘Early Birds’, about a small man who beats a huge East End ruffian. Four sketches might not seem like very much but in those days, it was possible to perform the same material for years. He became so well known that people would come to see a show just because it had his name on it. This meant that he was able to give breaks to unknown young actors. Two of these were Arthur Jefferson (who would later become Stan Laurel) and Charlie Chaplin. 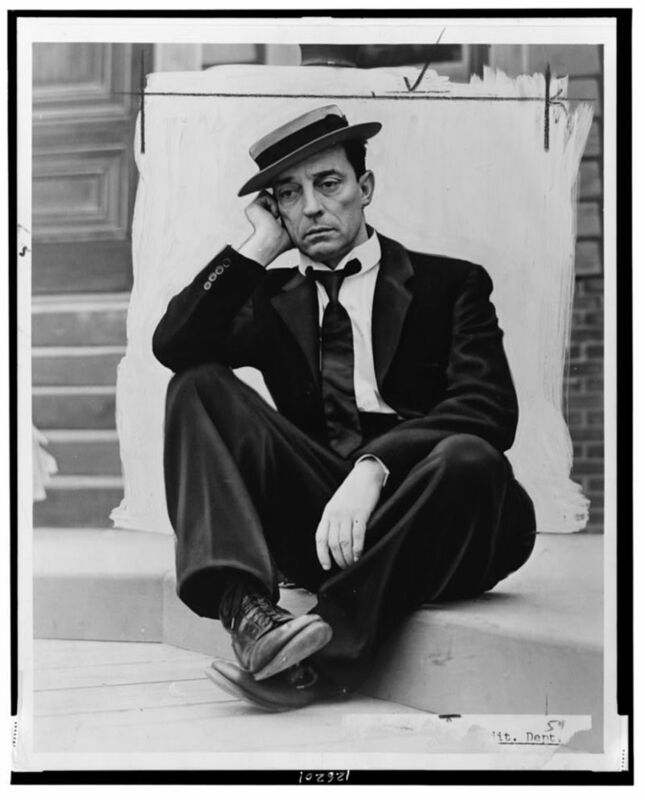 Fred was a master of publicity, it was a trick that he learned from theatre manager Arthur Jefferson senior, the father of Stan Laurel. Arthur had a portable zoo cage with a lion inside that was mauling a dummy which he exhibited around Glasgow. For a different show, he sent round a hansom cab with a man inside who had a dummy knife sticking out of him. For his sketch Jail Birds, Fred bought a Black Maria (the name of a police vehicle used to transport prisoners) and decorated it with streamers proclaiming ‘Fred Karno’s Jail Birds’. He drove it about filled with actors dressed as policemen, warders and convicts. Sometimes the convicts would ‘escape’, particularly during rush hour, and be chased about. Echoes of this stunt can be seen in the antics of The Keystone Cops in early silent movies. It was the Keystone Studio that first signed Charlie Chaplin. His name became synonymous with anything that was chaotic and badly organised. There was even a popular First World War song called ‘Fred Karno’s Army’. But Fred trained his actors carefully, not only in the art of slapstick, but also showed them how they could gain the audiences sympathy. He believed that the best laughs came when a character didn’t know what was going to happen to him but the audience did. Which is where the custard pie in the face thing comes in. When I first wrote about Fred Karno a year ago, who I had then never heard of, I discovered an amazing coincidence. He bought two houses in Camberwell and knocked them into one. It was his home, his office, a rehearsal space and a warehouse for theatrical props and costumes. He called it his ‘Fun Factory’. This is a photograph taken there in 1907. In the 1980s, the building was turned into artists’ studios and I found out that my friend Andrew used to have a studio there. In 2008, they all recreated this photograph, you can see it here. Today is the birthday of Georges Méliès who was born in 1861 in Paris. He was an illusionist and film maker and, as I mentioned yesterday, he bought the theatre that once belonged to the illusionist Jean-Eugène Robert-Houdin. He was always interested in art and was often in trouble at school for drawing in his notebooks and textbooks. He made a puppet theatre when he was ten and, by the time he was in his teens, he was making some quite complicated marionettes. He first discovered his passion for stage magic whilst working in London. There he visited the Egyptian Hall which was run by the illusionist John Nevil Maskelyne. When he returned to Paris in 1885, he continued his interest and began to take lessons from a magician whilst working in his father’s factory. When his father retired, three years later, Méliès sold his share in the family business and bought the Théâtre Robert-Houdin. It was a beautiful theatre and came equipped with lighting, levers, trapdoors and several automata. But most of the tricks and illusions they provided were out of date. Méliès set about inventing new ones. In the next nine years he came up with more that thirty. He introduced comedy into his performances. One of his best was the ‘Recalcitrant Decapitated Man’ in which a professor’s head would be cut off whilst he was making a speech. The head would continue talking until it was returned to his body. As well as inventing the tricks, Méliès was also writer, director and costume designer. He also staged pantomimes, automaton performances and magic lantern shows. Then, in 1895, he attended a demonstration of the Lumière brothers’ cinematograph. He immediately fell in love with the new medium. He really wanted to buy a camera, but the Lumière brothers weren’t selling. So he bought himself a projector from London and managed to adapt it so it could also be used as a film camera. The film also had to come from London and, as there were no film processing laboratories, he learned how to develop and print the films himself. He began making his first short films in 1896. There is one about a man who is attacked by a giant bedbug called ‘A Terrible Night.’ It’s only about a minute long, but already you can see his flair for props. Around this time, the Lumière brothers had decided to concentrate their work on serious documentary films. This left Méliès free to corner the market in something a bit more fanciful, which was what he was really interested in. Méliès began to experiment with, and sometimes invent, special effects that could only be created on film. He said in his memoirs, that it began when his camera jammed whilst shooting a street scene. He found his film showed a bus that suddenly turned into a hearse and a woman who turned into a man. He had discovered the ‘stop trick’. It wasn’t long before he built himself a film studio, just outside Paris in Montreuil. His stage was in a building made entirely of glass to maximise the light and it was made in the same dimensions as his theatre. He also had a shed for dressing rooms and a separate hanger for making scenery. His scenery is beautifully theatrical, we love it. His new interest in film didn’t mean he gave up his work at the theatre. Méliès was a busy man. He would be at his film studio at 7.00 am, spent ten hours building sets and props, finish at 5.00 pm, get changed, go to his theatre in Paris for 6.00 pm for meetings, have a bit of dinner and be back at the theatre in time for the show at 8.00. He would spend Fridays and Saturdays filming and on Sundays and holidays there would be film screenings at his theatre that went on until 11.30 pm. 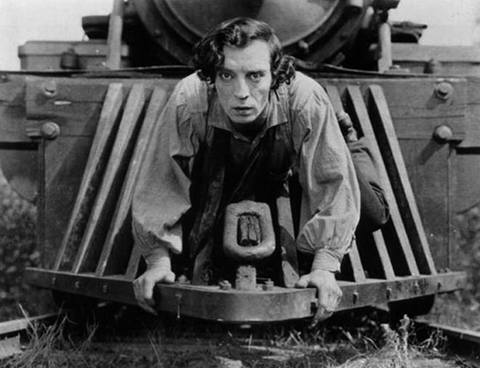 He made seventy-eight films in 1896, the following year he made fifty-two. By then he had pretty much all the genres covered. He had made documentaries, historical films, dramas, magic tricks, fairy tales and even a few advertisements. He also made a couple of more risqué films. The only one that survives is ‘After the Ball’ in which a woman gets undressed, steps into a tub and is bathed by her maid. In 1898, he made fewer films, but they were more elaborate. He had discovered the tricks of running the film through the camera backwards, and running unexposed film through several times to create multiple exposures, such as in ‘The Four Troublesome Heads’. In 1899, he made a version of Cinderella, which was his first film with multiple scenes. It was hugely popular all over Europe and also in the United States. Thomas Edison, who is pretty much the villain of this blog, did not enjoy the foreign competition and tried to ban them. But then he figured out how to just make pirate copies instead. In 1900, he made ‘The One-Man Band’ in which he plays seven different versions of himself at the same time and in 1901 he made a film about the wife-murdering Bluebeard, which is well worth a watch, not only for the brilliant scenery and props, but also the way the evil Bluebeard is impaled on a sword and forced to watch his dead wives resurrected. In 1902, he made ‘A Trip to the Moon’, which we have discussed elsewhere. Georges Méliès directed over 500 films between 1896 and 1913 so it would be impossible to discuss them all, but his 1905 film, ‘Le Diable Noir‘ is one of my favourites. But his way with cinema gradually fell out of fashion and he also lost a lot of money and creative control of his work, this was partly due to Edison and other larger film companies. Then the First World War happened and his film studio was taken over for an army hospital and the French military confiscated 400 of his films and melted them down for the silver they contained and also the celluloid, which was used to make boot heels. In 1923 his theatre was torn down and his film company taken over by Pathé. He burned all his remaining films. By the mid 1920s, he was scratching a living selling sweets on the station at Montparnasse. But several journalists had begun to research his work and in 1929 there was a gala retrospective of his work. Méliès said in was one of the most brilliant moments of his life. In 1932, the Cinema Society found him a place at the film industry retirement home in Orly. Although he never made another film, he continued to draw, write and advise younger film directors until the end of his life. The more I look at the very early history of film, the more difficult it is to pin down to a single event. The story of it’s birth is full of people, now little known, who came up with different devices and methods for shooting and projecting a moving image. A few of them disappeared into obscurity because they ended up selling their patents to others. Some just wound up in a dead end, could develop their ideas no further and were forgotten. There seems to have been a lot of squabbling and a lot of legal cases. 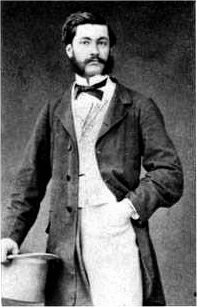 Probably the strangest story I’ve come across is that of Louis le Prince, who simply disappeared. Le Prince filmed what is considered to be the oldest surviving piece of motion footage on this day in 1888. It was shot at the home of his in-laws in Roundhay, Leeds. The restored footage lasts slightly over two seconds and features his mother-in-law, Sarah Whitley, Joseph Whitely, his son, Adolphe le Prince and a lady called Harriet Hartley. They are walking around in a sunny garden. It was shot on a camera of le Prince’s own design on film that was backed with paper rather than celluloid which was made by Eastmann of Eastmann Kodak. His mother-in-law died ten days after this film was shot so viewing it must have been a really weird experience for everybody. Louis had learned about photography as a boy from a friend of his father’s, Louis Daguerre. He moved to Leeds in 1861 to work in the Whitley’s factory, a brass foundry. It was work that also took him to the United States in 1881. This was where he first began to experiment with moving photographs. The film ‘Roundhay Garden Scene’, along with another short film, ‘Traffic on Leeds Bridge’ and fragments of two others are all that remains of le Prince’s work. This is because Louis and his personal effects disappeared during a train journey in France in 1890. No one knows what happened. Louis was just about to patent his combined camera and projector in the UK and after that, he planned a trip to America to promote it. His brother saw him off at the station in Dijon but when the train arrived in Paris, he just wasn’t there. Neither was his luggage. No one but his brother saw him at the station. No one remembered seeing him on the train. No one noticed anything odd during the journey at all. Le Prince had just vanished. He was declared dead in 1897. In 2003 someone turned up a photograph of a drowning victim from the Paris police archives dated 1890 which looks a bit like le Prince. There are several theories about what happened. Some suggest suicide, others fratricide. His family suspected that it had something to do with Edison who later tried to claim sole rights for the invention of the moving picture camera. Louis’s son Adolphe actually appeared as a witness in a court case brought by Mutoscope against Edison in 1898, to prove he was not the sole inventor. Adolphe wanted to show his father’s cameras as evidence, but in the end he was not allowed to do so. As I frequently look at achievements in early cinema I often find things that Edison has tried to swoop in and take the credit for. It is beginning to feel as though, if this blog has a villain, it’s Edison. He was a pretty driven guy with a lot of money behind him, but I certainly hope he wasn’t capable of murder.